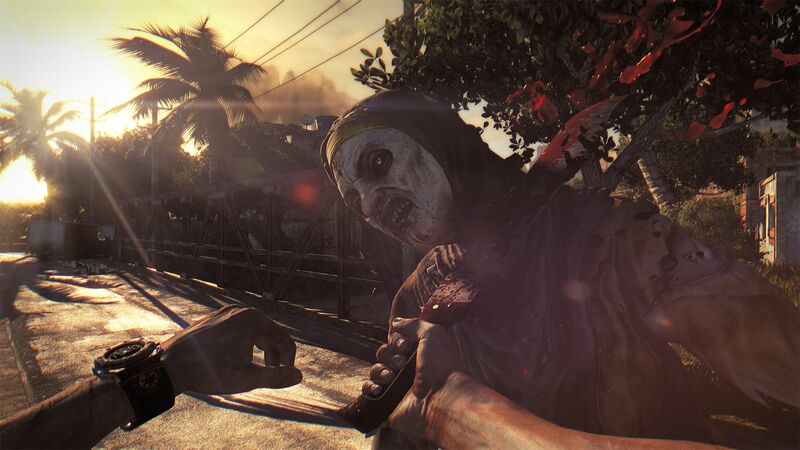 You know the game you wanted Dead Island:Riptide to be? A game that built off the kill zombies/get loot/craft weapons mechanics of its predecessor while exploring new locations and had a greater amount of overall polish? 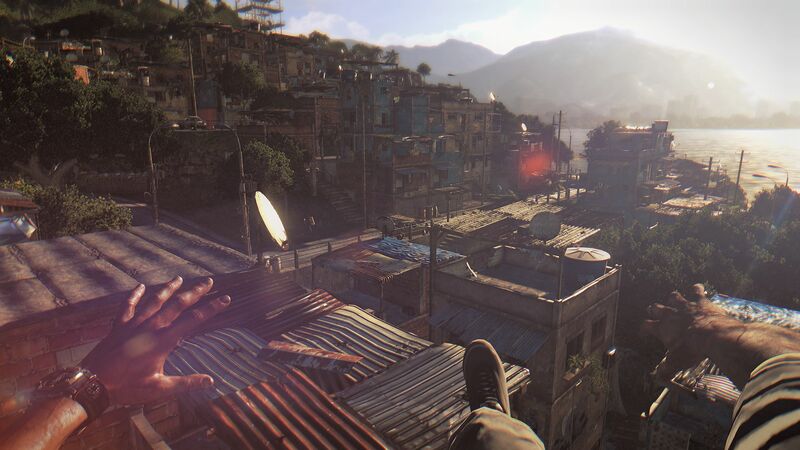 Dying Light is that game. 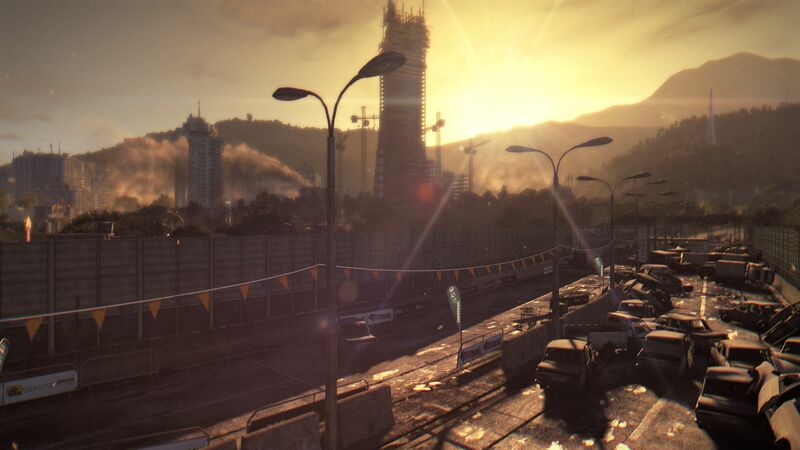 Coming from Techland early next year, Dying Light is a survival action game set in an open world. As usual, there's been some kind of horrible outbreak of contagion, and those who survived live in barricaded safe zones, venturing out during the day to scavenge for supplies. Zombies (or infected or undead, whatever the currently politically correct term for the life-challenged are) are a constant threat, but particularly so at night, when they become more aggressive and begin hunting humans. The demo we saw involved a mission to find supplies that had been air dropped into the city. We didn't get to see very much of the landscape - it was a city, but not an easily identifiable one, and that's about all I can tell you. You play in a first person perspective, and will be able to get "almost anywhere in the world" using freerunning techniques. It's not quite Mirror's Edge, but the movement was very fluid and smooth. Combat appeared mechanically similar to Dead Island, though less clunky, and you will have the opportunity to put your crafting skills to use in the creation of things like a shock blade. 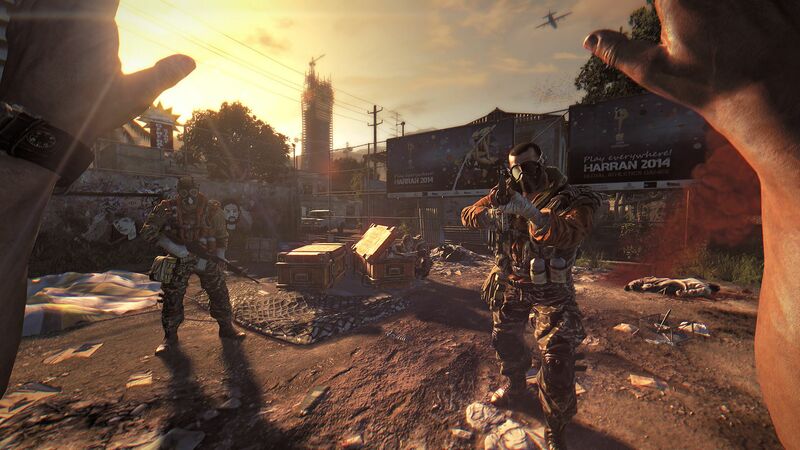 Crafting, upgrading, and modifying weapons will be a big part of Dying Light's gameplay, so plan on looking for blueprints to help you create more effective implements of death. The demo used "repair parts" as crafting elements, but it's likely the final version of the game will require you to find more specific components around the environment. We saw melee combat with a baseball bat, and kicking helped keep enemies at a safe distance. An xray effect lets players know they've managed to break or shatter bones in their opponent, though whether that will aid in combat or is just a nice aesthetic touch is unclear. 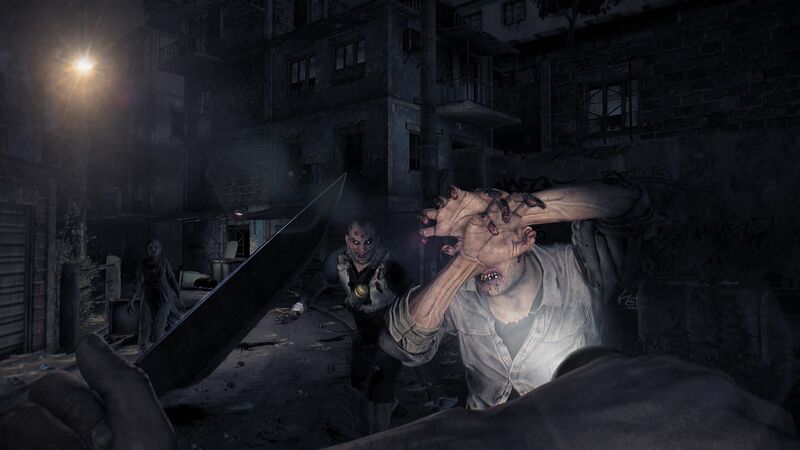 We didn't see much, so in many respects Dying Light was a fairly typical "humans vs. zombies" scenario, but one interesting element is that the newly-infected retain their human characteristics. They can still speak, for example; at one point, a victim pleaded with you to help him. He got a bat in the brain like every other zom, but it refreshingly shocking to see some humanity at work. You're infected yourself, which obviously can't be good in the long term, but it does have one handy side effect: You have the ability to detect the most dangerous zombies by sending out a pulse that works somewhat like echolocation. This was handy after night fell in the demo and the player character had to sneak and run through zombie-infested streets to get back to the safe house. That part of the demo was so heavily scripted that it was nearly impossible to tell how it would actually play, but adding a stealth element could add some welcome variety to the gameplay. 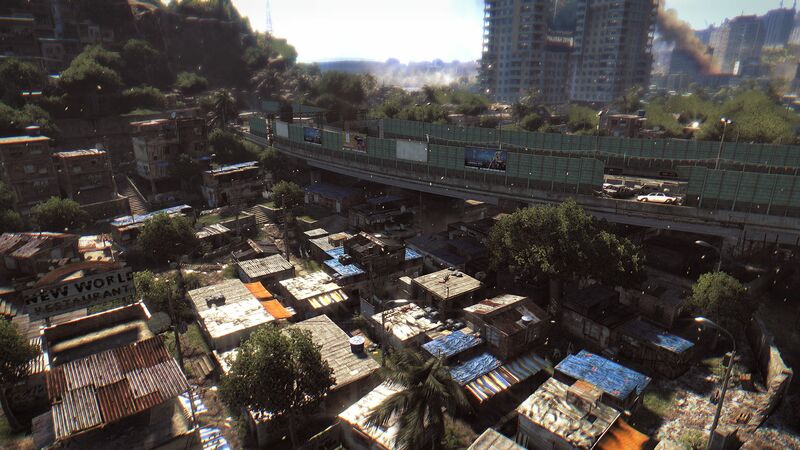 I didn't get to play Dying Light myself, but what I saw was really beautiful, particularly the transition from day to night. The day/night cycle will be a key element of the gameplay, and it looks like there will be some nuance to the game's storytelling. It's far too early to know anything for sure, but a more beautiful, subtle Dead Island-style game is certainly something I would welcome onto either my PS4 or Xbox One. 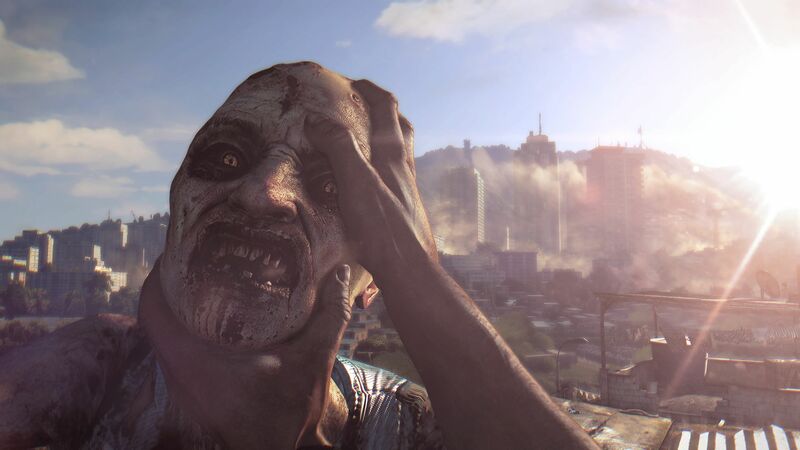 Dying Light is currently scheduled for release on Xbox 360, PS3, Xbox One, PS4 and PC in February.